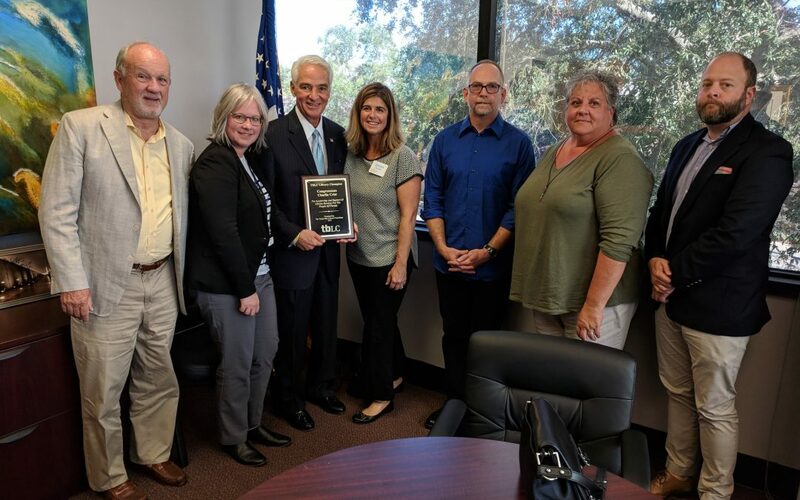 The Tampa Bay Library Consortium (TBLC) is pleased to announce that Congressman Charlie Crist is one of the recipients of the 2018 Library Champion Awards. These honorees were nominated by library leaders from TBLC’s 18 county region and as community leaders who have demonstrated exceptional support for library programs. 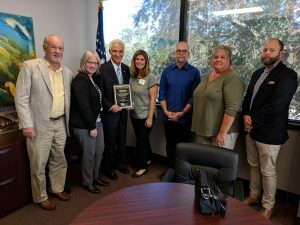 On May 14th, Crist visited the St. Petersburg College Innovation Lab in Seminole. Lab Manager Chad Mairn reached out to the Congressman via Twitter and set up a meeting with him and staff and showed them how the lab is engaging with people with emerging technology including a virtual reality headset and STEM learning. 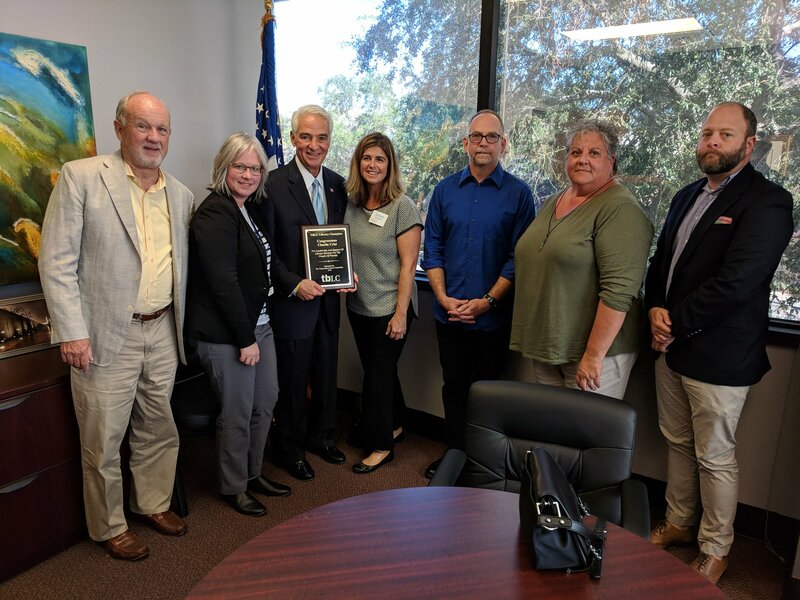 Then on June 4th Congressman Crist visited the Gulfport Public Library and helped them celebrate their LGBTQ Resource Center’s winning the American Library Association’s GLBT Round Table’s Newlen-Symons Award for Excellence in Serving the GLBT Community. According to Library Director David Mather, not only did the Congressman help them celebrate winning the award, he helped them win by submitting a letter of recommendation. After the visit he posted a photo and comments toFacebook and shared this Twitter post. On July 20th, it was Clearwater Public Library’s opportunity to show off some of their innovative maker spaces and services. These included 3D printing in the Innovation Studio, the Multimedia Studio where community members create video and audio projects and use the Adobe Creative Cloud, and the Heritage Studio where library staff help community members create digital copies of their pictures, documents, audio tape, video cassettes and video tape, thus preserving them for future generations. Following each visit the Congressman posted pictures and comments to Facebook and Twitter and did a beautiful job of describing the wonderful things the libraries are doing. 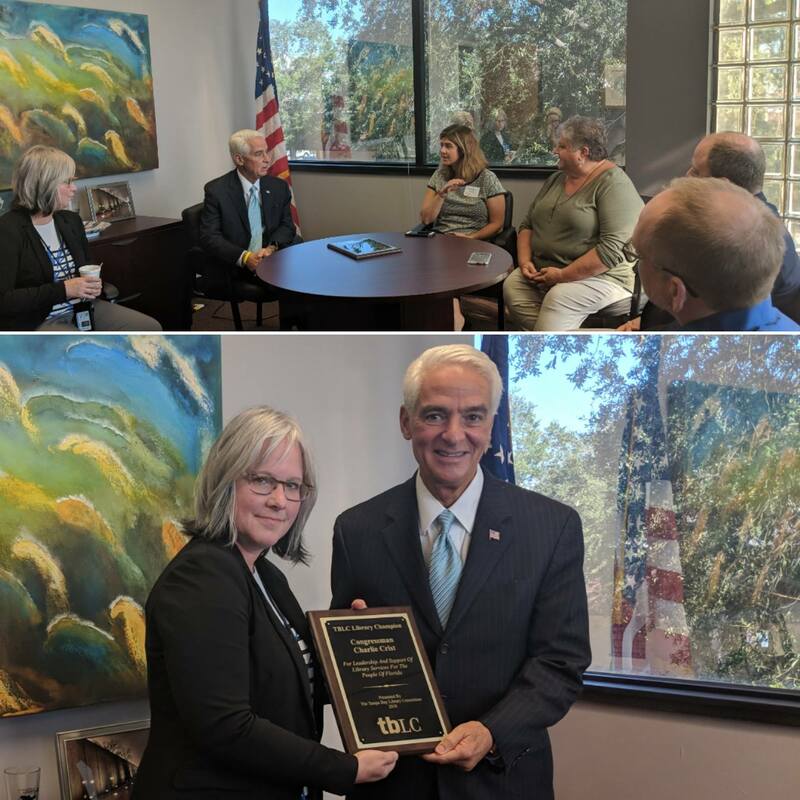 Congressman Crist was nominated by Jennfer Obermaier, Director of the Clearwater Public Library.